There is no shortage of books about Las Vegas. These books span the spectrum of interests, from Las Vegas history, to "how to gamble" type books, and the more traditional travel guides. Even if you've visited Las Vegas many times, it's likely one of these books might give provide some unique and hidden insights into the city - making your trip to Vegas more enjoyable. Burning the Tables in Las Vegas : Golf-writer and hacker extraordinaire. Michael Konik, roams the golfing universe in this outstanding collection of stories about the game and its grandeur. Konik's intimate profiles take you inside the minds and motives of some of the biggest names in golf -- John Daly and Phil Mickelson, Raymond Floyd and Jim Colbert, Helen Alfredsson and Laura Davies, Dave Pelz and Vince Gill among them. Busting Vegas : Semyon Dukach was known as the Darling of Las Vegas. A legend at age twenty-one, this cocky hotshot was the biggest high roller to appear in Sin City in decades, a mathematical genius with a system the casinos had never seen before and couldn't stop -- a system that has never been revealed until now; that has nothing to do with card counting, wasn't illegal, and was more powerful than anything that had been tried before. Fodors : Las Vegas - 2010 : Nab an exquisite view of Bellagio's dancing fountains, discover which buffet lines are worth the wait, shrink the house advantage, learn the lingo before you join the game, catch one of the last classic feather shows or take your drink for a dip in the pool�Fodor's Las Vegas 2006 offers all these experiences and more! Our local writers have traveled throughout Sin City to find the best hotels, restaurants, attractions and activities to prepare you for a journey of stunning variety. Frommer's Portable Las Vegas for Non-Gamblers : Experience a place the way the locals do. Enjoy the best it has to offer. And avoid tourist traps. Frommer�s Portable Guides help you make the right travel choices. They�re easy to carry�and carry an unbeatable price. Frommer�s. Your guide to a world of travel experience. Frommers Las Vegas - 2010 : You'll never fall into the tourist traps when you travel with Frommer's. It's like having a friend show you around, taking you to the places locals like best. Our expert authors have already gone everywhere you might go�they've done the legwork for you, and they're not afraid to tell it like it is, saving you time and money. No other series offers candid reviews of so many hotels and restaurants in all price ranges. Frommers Las Vegas with Kids : Las Vegas with Kids is full of incredibly detailed tips� right down to which hotels offer cribs and rollaway beds and which restaurants offer high chairs and kids' menus. Inside, you'll learn a wealth of information about where to find hands-on, interactive museums and attractions (with suggested age ranges for each activity); child-appropriate entertainment; kid-oriented shopping; and parks and other places to play� all perfect for families with kids of any age (and any budget). Hiking Las Vegas : This one-of-a kind guide is devoted to southern Nevada's recreational wonderland. It details 20 hikes on the slopes of Mt. Charleston, the highest mountain in southern Nevada and only a 60-minute drive from the Las Vegas Strip. It also describes 40 trails, paths, and routes in BLM's showcase Red Rock Canyon Recreation Area, less than half an hour from Glitter Gulch. Las Vegas : an Unconventional History : Written in conjunction with the PBS American Experience series and coinciding with the 100th anniversary of the founding of the city, Las Vegas: An Unconventional History documents the often surprising and endlessly entertaining history of America�s most outrageous playground. Las Vegas : Eyewitness Travel Guide : Recognized the world over by frequent flyers and armchair travelers alike, Eyewitness Travel Guides are the most colorful and comprehensive guides on the market. With beautifully commissioned photographs and spectacular 3-D aerial views revealing the charm of each destination, these amazing travel guides show what others only tell. Las Vegas : Then & Now : A photographic journey through the history of one of America's most distinctive towns, Las Vegas. Part of the highly successful "Then and Now" series, each spread shows an image of Las Vegas as it was, and how it is currently. Las Vegas Babylon True Tales : Vegas-based reporter Burbank aims to cut through the hype that surrounds the country's top tourist Mecca and reveal-in addition to the usual tales of excess and self-destruction-the "seriously malfunctioning society beneath the 'It's Vegas, baby!' fa�ade." Part gossip smorgasbord, part cautionary tale, the book speeds through the city's century-long history, from its mob-dominated early flourishing to the less murderous but still sleazy local politics scene. Las Vegas for Dummies : Las Vegas For Dummies gives you the lowdown on this city, which is fast challenging Orlando as the number-one tourist destination in the U.S. The city has more hotel rooms (over 120,000) than any other, and for sheer spectacle, it's hard to beat this town. You can watch a volcano explode, see a pirate ship sink, stroll by the Arc de Triumph and cross the Brooklyn Bridge���all on the same street. And then you can gamble. Policing Las Vegas : Policing Las Vegas chronicles the evolution of law enforcement in Las Vegas and Clark County from the days of night watchmen and cops who carted drunks to jail on horseback to today�s acclaimed Metropolitan Police Department. It�s filled with stories about the colorful characters on both sides of the law, drawn from history, legend, and the personal accounts of many men and women who policed Las Vegas. Red Rock Canyon - Climbing Guide : Just a 30-minute drive from the Las Vegas Strip, Red Rock Canyon National Conservation Area offers the best off-season weather of any climbing area in the United States. Its desert climate and its abundance of varied climbing routes-from beginner to advanced, trad routes and sport routes, single-pitch to big-wall-have made Red Rocks a prime year-round destination. In the past, no single guidebook offered climbers complete coverage of the area, but this new guide offers everything they'll need to know to get the most from their trip to Red Rock Canyon, including visitor information for the Las Vegas area. Sharks in the Desert : The complete saga of Las Vegas from its early roots with the mob to modern corporate times is presented in a lively history of the city's real rulers in SHARKS IN THE DESERT: THE FOUNDING FATHERS AND CURRENT KINGS OF LAS VEGAS. Many made their fortunes developing the casino business the city is most famous for today - but many myths have surrounded their activities - myths which columnist Smith dispels in an investigative history which tracked mobsters and their connections to the city's rich and monied. 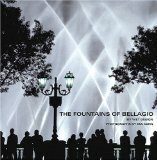 The Fountains of Bellagio : The Fountains of Bellagio were designed to be superlative, and not just in size. The people creating them wanted to bring sophistication and stateliness to a place better known for glitz, to embody the full spectrum of culture, from Technicolor musicals to Italian opera. The Man Who Invented Las Vegas : In 1946, two men battled for power in Las Vegas. Bugsy Siegel stole Billy Wilkerson's dream of a luxury hotel in the desert, and died in a hail of bullets. Although Billy lived on for many years, he never spoke of the man some believe was murdered for stealing his dream. Now, in this compelling First Edition, Billy's son finally uncovers the secrets behind the building of the Flamingo Hotel and the death of Bugsy Siegel. Unofficial Guide to Las Vegas : 2011 : Each casino reviewed in detail and ranked, from the best values to the hottest slots. Helpful hints for getting the best room and the lowest possible rate�and the inside story on packages and Internet booking. When the Mob Ran Vegas : Vegas like you've never seen, tales you've never heard -- until now. Sizzing, behind-the-scenes stories about the men, the Mob, movie stars, and missing money that made '50s and '60s Vegas such a hot spot in the Nevada desert.